Claire is one of only a few in the world, to have received level 2 authorisation from the Krishna Pattabhi Jois Ashtanga Yoga Institute (KPJAYI) in Mysore, India (http://kpjayi.org/teachers-directory/europe). Claire is a dedicated student of the traditional Ashtanga Yoga method. 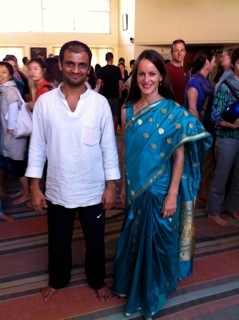 She maintains a daily practice and has travelled almost yearly for the past 18 years to study in India. She was a direct students of Sri K Pattabhi Jois (http://kpjayi.org/biographies/k-pattabhi-jois) and now continues to study with his grandson Sharath Jois (http://kpjayi.org/biographies/r-sharath). 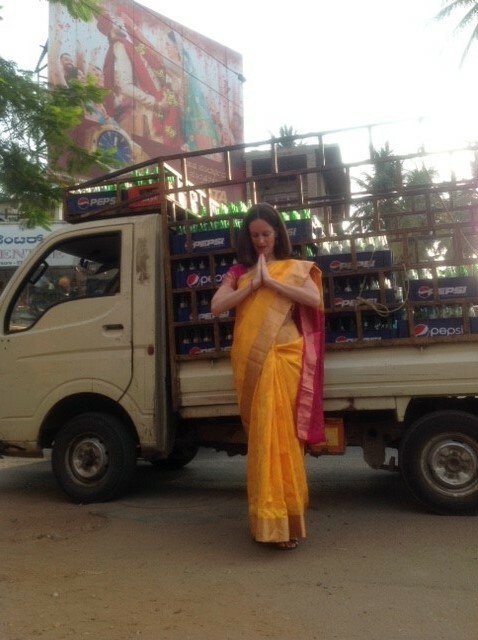 While in Mysore, Claire has also been an apprentice to Sharath with both his morining western classes and his afternoon Indian classes. Claire practices Primary, Intermediate and Advanced A Ashtanga Yoga asanas and has the blessing of the KPJAYI to teach both the Primary and full Intermediate Series. It is with Claire's deepest respect for the lineage of Ashtanga Yoga, for Guru Parampara, and love of this traditional yoga, that she teaches the traditional Ashtanga Yoga method in the same way that Pattabhi Jois and Sharath have taught her. As well as teaching Mysore-style Ashtanga guided self-practice, led classes and workshops, Claire also leads guest workshops and self-practice retreats at studios through out Europe and Australia. Her approach to sharing yoga asana (from beginners to more seasoned practitioners), is one that contains a balance of both strength and gentleness. She has a deep awareness of the biological function of the asana at the same time she is able to relate the physical to the emotional, mental and devotional elements of this rich yoga practice. Claire established Ashtanga Yoga Shala Provence (a yoga studio and student accommodation home situated in a small village between Aix en Provence and Marseille) in 2012 where she continues to teach in both French and English to a mix of local students and international visitors. Claire is Australian by nationality and lives in France with her French husband and their 3 year old daugher. In addition to her passion for Ashtanga Yoga, she also holds a bachelors degree in International Relations, a Masters Degree in Linguistics from the University of Sydney, Australia and a Post Graduate qualification in English Language Teaching from Cambridge University, England. She worked for over a decade as a University Professor. With such a solid foundation as an adult educator, Claire excelles at meeting her students (of both yoga and linguistics) at where they are and extending them comfortably beyond where they can take themselves.